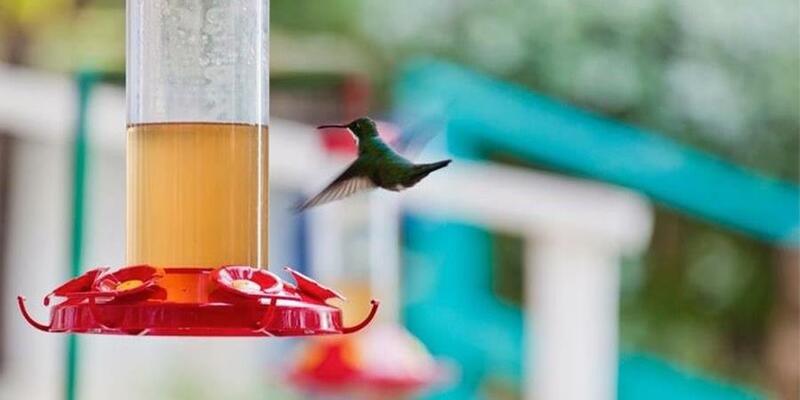 Blue Horizons Garden Resort sits on 6 1/4 acres of landscaped gardens and is home to 27 species of tropical birds. 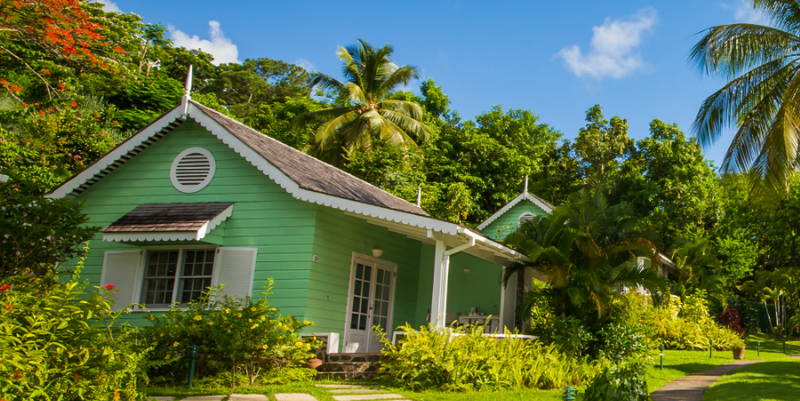 It is the first Green Globe certified property in Grenada and with programs such as planting trees and waste management, it’s taking an active approach towards conservation. Blue Horizons Garden Resort is a popular choice for wildlife observers and you will most likely see the bright and yellow Bananaquit, also called the “the sugar bird” because he loves sugar so much. Free Bird watching and Garden Tours available at the resort. Stay for 7 nights in a Superior Studio on a Bed & Breakfast basis from £1225 per person based on 2 adults sharing. Price includes flights and transfers. 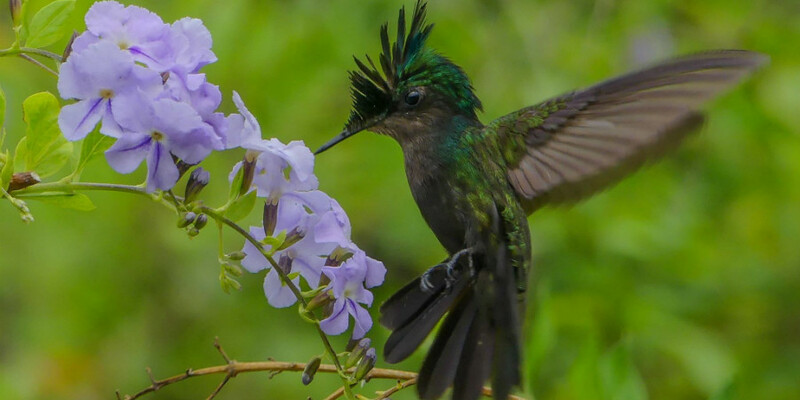 East Winds is a premium all-inclusive resort on La Brelotte Bay, set in 12 acres of tropical gardens abundant with colourful plants and exotic birds such as Hummingbirds or Mangrove Cuckoos. 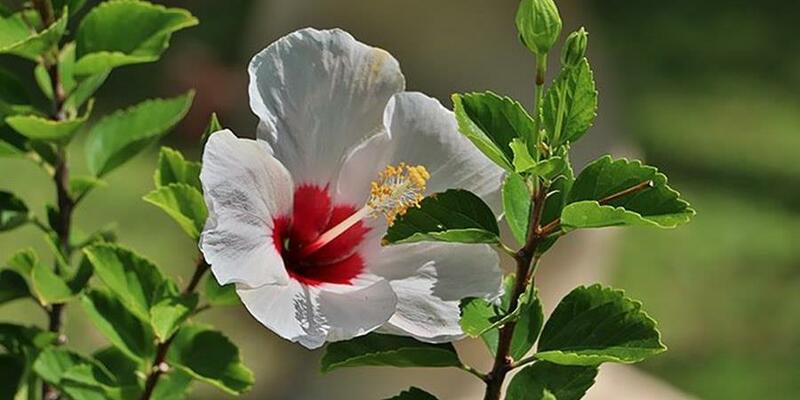 The gardens feature over 100 different flowers and plants and there is even a guidebook in your room to help you identify the tropical wildlife. Garden Tours every Thursday from 2 – 3pm with the Head Gardener Sylvanus. Stay for 7 nights in a Superior Garden Cottage on an All Inclusive basis from £2025 per person based on 2 adults sharing. Price includes flights and transfers. 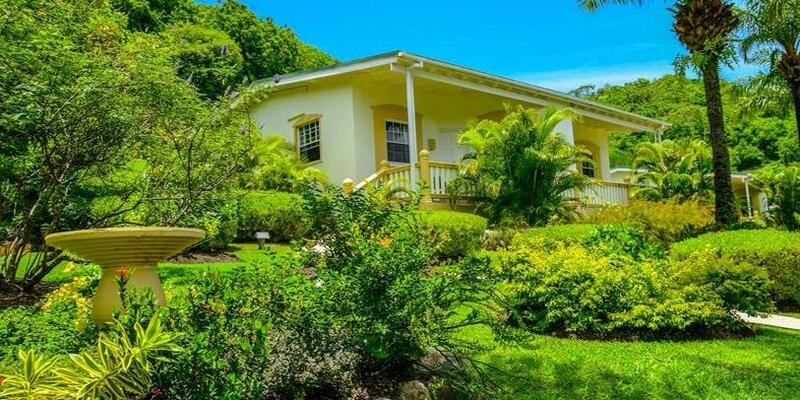 Blue Waters Inn is nestled among 46 acres of greenery and with over 200 species of birds in Tobago, you will have a good chance to spot a Mot Mot on your balcony or the national bird, the Cocrico, wandering around the grounds. Dawn has proven to be the best time to search for wildlife and may reward you with sightings of the jewel-coloured Rufous-tailed Jacamar and Tanagar. You can also find lizards and an array of butterflies. 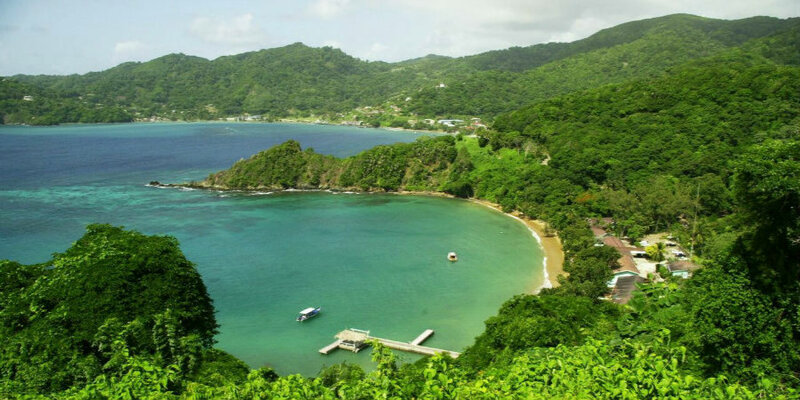 Boat tours to Little Tobago, the largest bird sanctuary & St. Giles Island, home to the region’s largest seabird colony can be arranged and paid at the resort. Stay for 7 nights in a Beachfront Room on a Bed & Breakfast basis from £1198 per person based on 2 adults sharing. Price includes flights and transfers. 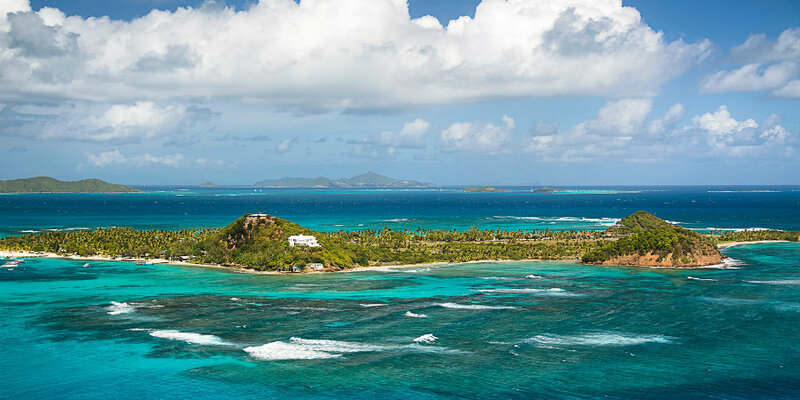 Palm Island Resort & Spa is one of the southernmost islands in the Grenadines, about a mile from Union Island and is only accessible by boat. 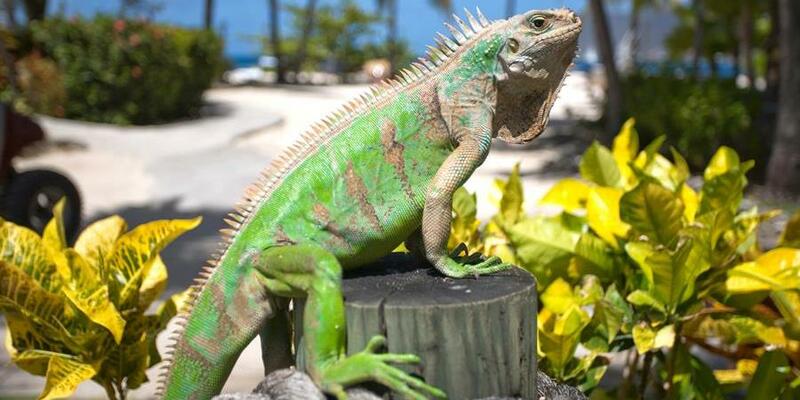 Its location makes it the perfect wildlife destination – from turtles and stingrays in the ocean to lizards, iguanas, tropical birds and over 2000 coconut palm trees on the island, you are spoilt for choice. Visit the nearby islands for fishing or diving on board Palm Island’s own 60 ft. schooner that featured in Disney’s ‘Pirates of the Caribbean’ film. Stay for 7 nights in a Palm View Room on an All Inclusive basis from £2545 per person based on 2 adults sharing. Price includes international and connecting flights. 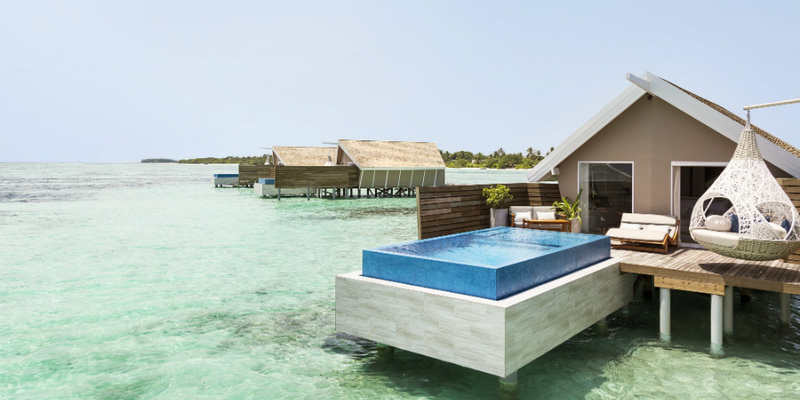 LUX* South Ari Atoll is situated in the heart of FenMaaDhiguRan, the Maldives’ first and largest Marine Protected Area with a significant population of whale sharks all year round. You can also spot Butterflyfish, Oriental Sweetlips, dolphins, manta rays and more. 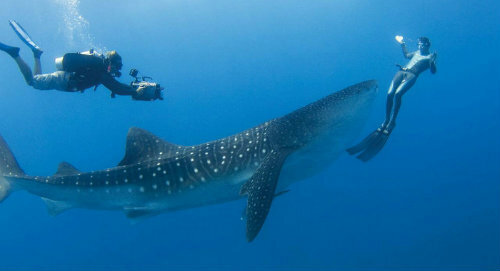 Take a traditional Dhoni or speedboat every Monday or Wednesday and enjoy the unique opportunity to swim with the friendly whale sharks. Stay for 7 nights in a Beach Pavilion on a Bed & Breakfast basis from £2450 per person based on 2 adults sharing. Price includes international and connecting flights. Kihaa is the perfect destination for nature lovers, as BAA Atoll is a UNESCO Biosphere Reserve which is home to a wide array of coral, fish, turtles and other marine creatures. A particular highlight of the resort is its proximity to Hanifaru Bay where visitors are often able to snorkel with manta rays and whale sharks. 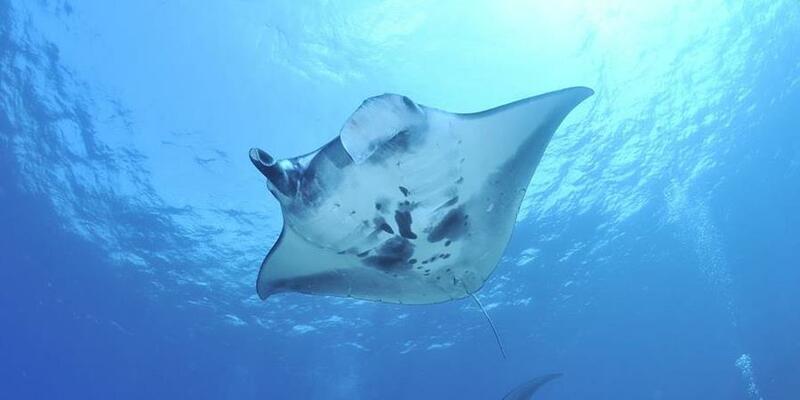 Book a manta ray excursion or cruise on the Dhoni for snorkelling and sightings of turtles and dolphins. Stay for 7 nights in a Reserve Beach Villa on an All Inclusive basis from £1846 per person based on 2 adults sharing. Price includes international and connecting flights. 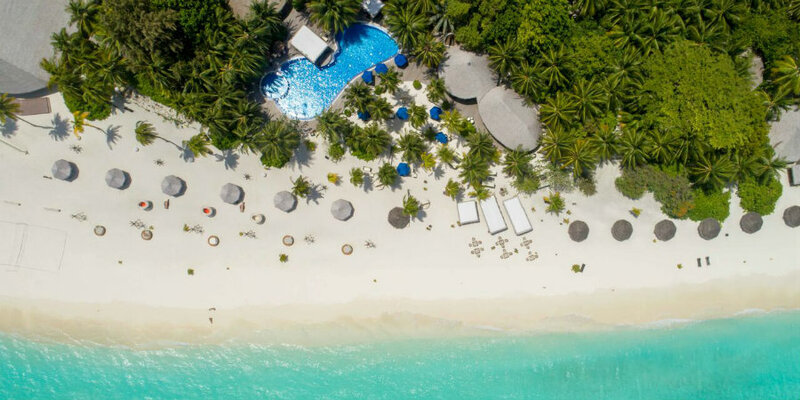 To stay up to date with our latest offers and inspirations for the Caribbean and the Maldives, sign up to our weekly newsletter.